In the depths of the Great Depression, the unemployment rate in the U.S. reached 25%–and higher in some regions. The Civilian Conservation Corps (CCC) was one of President Franklin Delano Roosevelt’s New Deal programs, and it operated from 1933-1942. 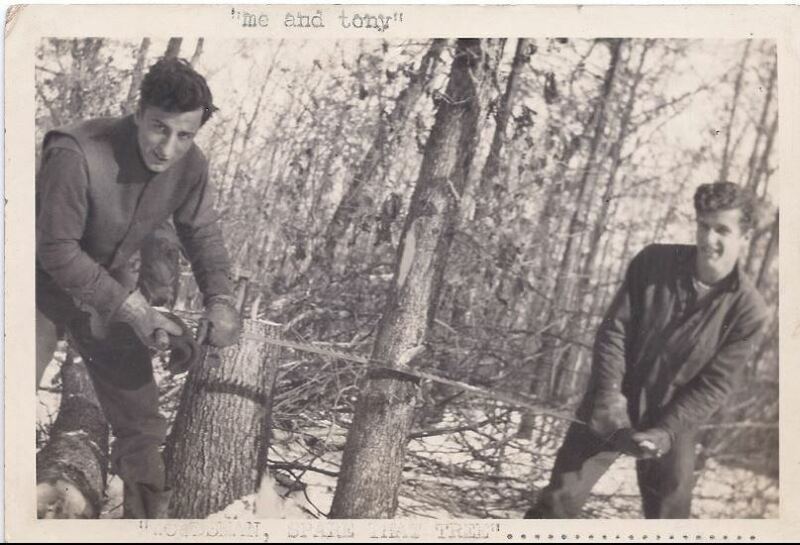 Over these nine year, the CCC provided jobs to millions of young men nationwide–most of them ages 18-25–and carried out many environmental and conservation projects, including planting trees, constructing trails and lodges, and building forest roads. 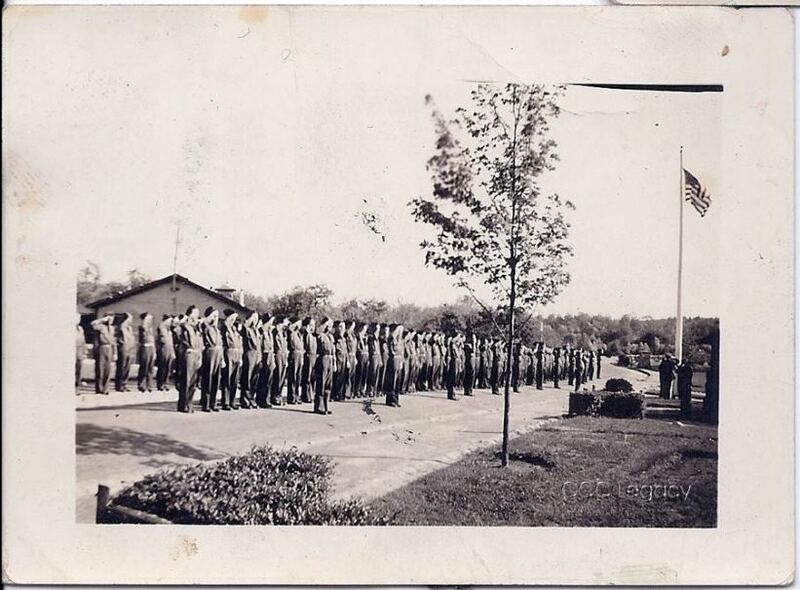 How did the Civilian Conservation Corps (CCC) impact Connecticut? What was the purpose of the CCC? Where were CCC camps built in Connecticut? What types of work did the CCC workers do? 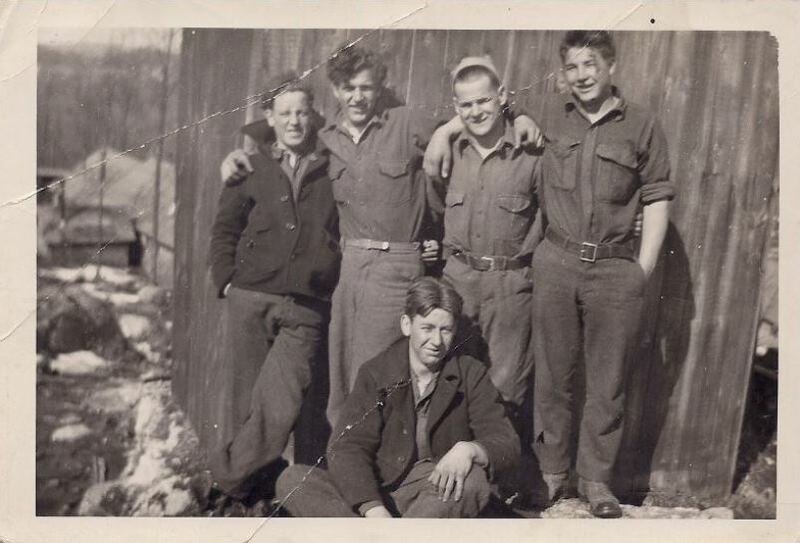 How did the CCC program change the lives of Connecticut’s “CCC boys”? What are the lasting results (the legacy) from the CCC program in Connecticut? A map of CCC camps in Connecticut during the Great Depression. The color of the map pins denotes the year the camps were opened: Blue – 1933, Orange – 1935. Also, some of the pins include photographs showing the CCC boys and examples of the work they completed as part of this New Deal program. 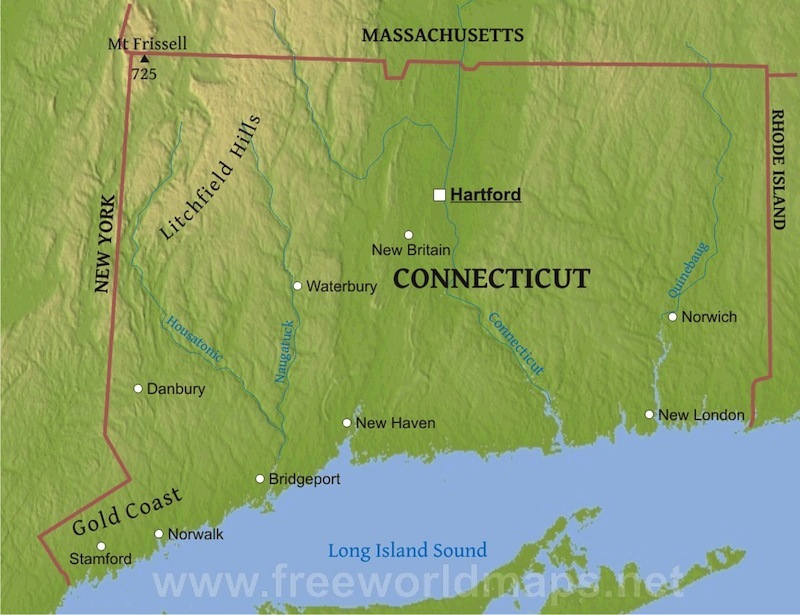 Physical map of Connecticut, including locations of major cities. List of all 20 of the CCC camps in Connecticut, including their locations, when they were built, when they closed, and the names of the state parks or forests today. 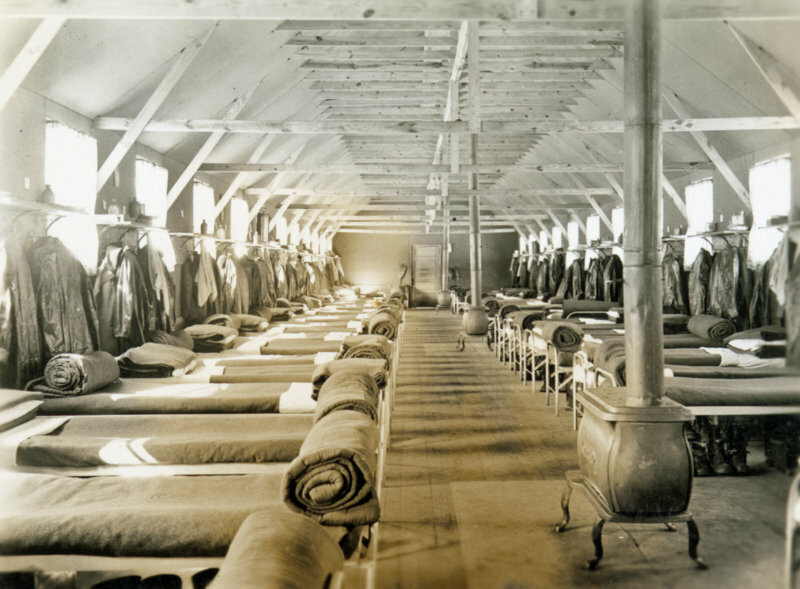 The sleeping quarters at a Civilian Conservation Corps camp, most likely Camp Britton in Windsor, CT, ca. 1935-1937. Connecticut Historical Society. 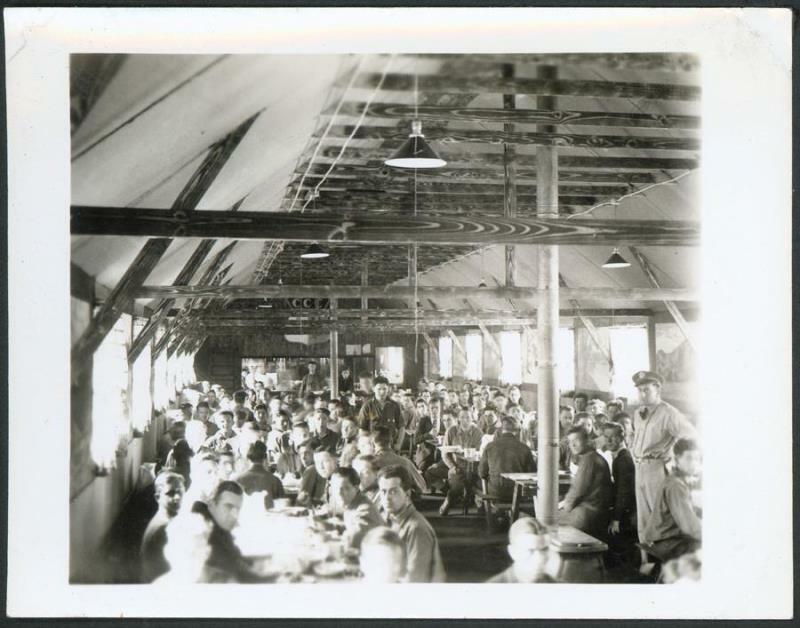 The interior of a dining hall at a Civilian Conservation Corps camp, most likely Camp Britton in Windsor, CT, ca. 1935-1937. Connecticut Historical Society. Retreat was held every afternoon before going to supper, Co. 179, S-38, Camp Lonergan, Voluntown, CT, Pachaug State Forest – CCCLegacy.org. 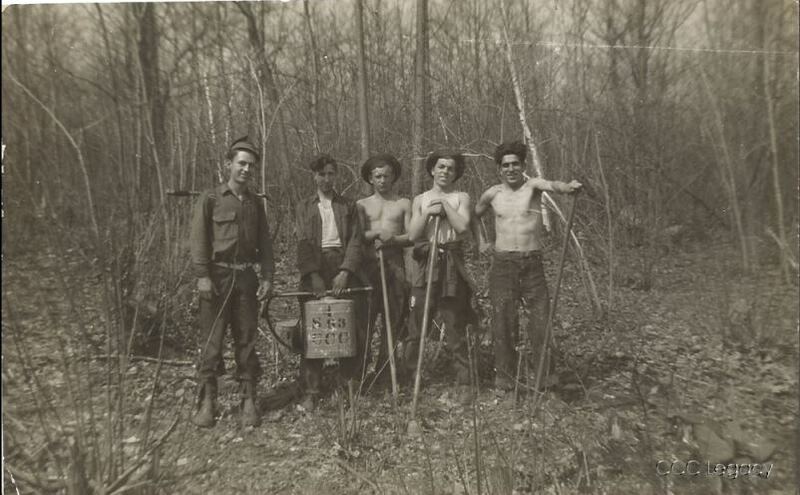 Men and their firefighting tools, Company 182, S-51, Cornwall-Bridge, CT, Camp Cross Housatonic State Forest – CCCLegacy.org. 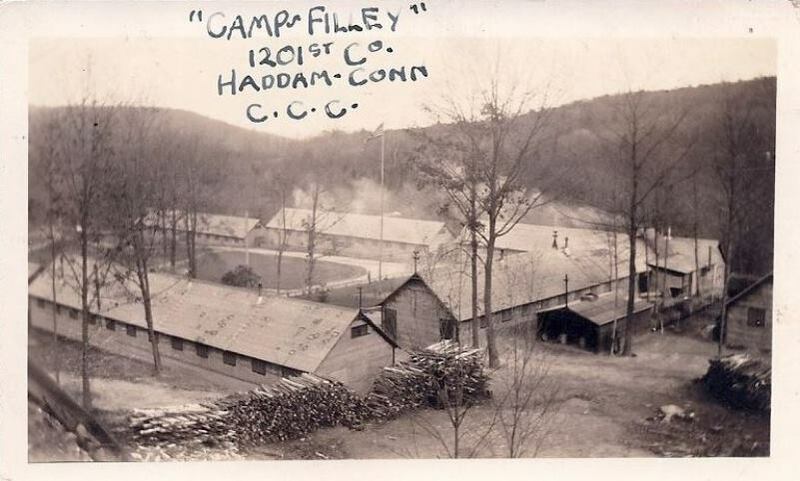 Company 1201, SP-64, Haddam, CT, Camp Filly, Cockaponset State Park – CCCLegacy.org. 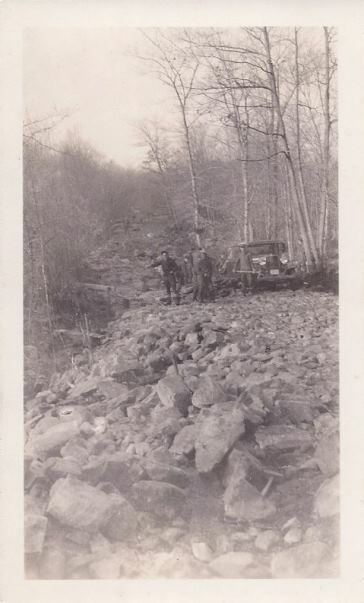 Building a road, Company 1201, SP-64, Haddam, CT, Camp Filly, Cockaponset State Park – CCCLegacy.org. 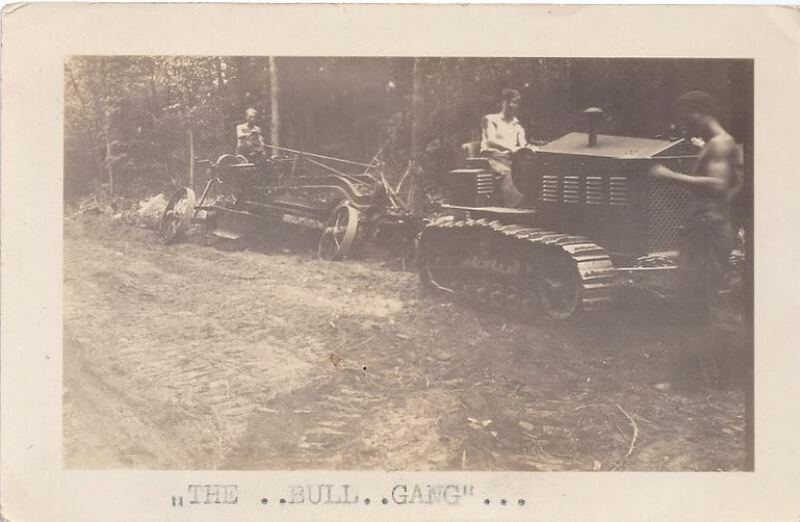 “The..Bull..Gang,” Cletrac dozer pulling a grader, 1934, Company 1201, SP-64, Haddam, CT, Camp Filly, Cockaponset State Park – CCCLegacy.org. 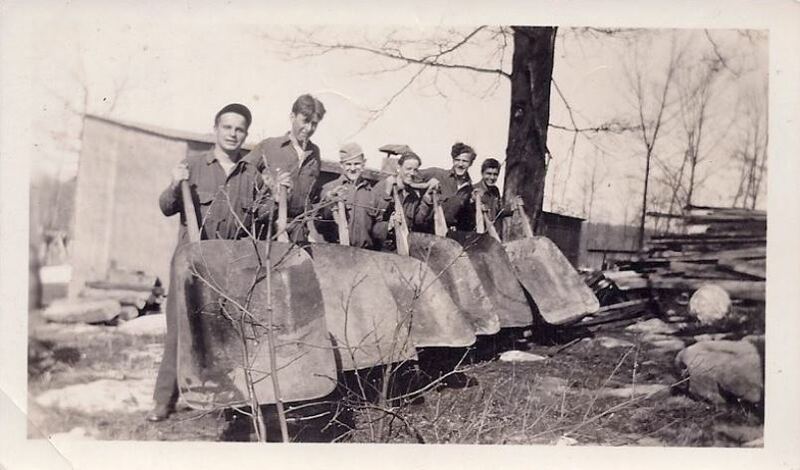 “The Wheel-Barrow Brigade”, Company 1201, SP-64, Haddam, CT, Camp Filly, Cockaponset State Park – CCCLegacy.org. 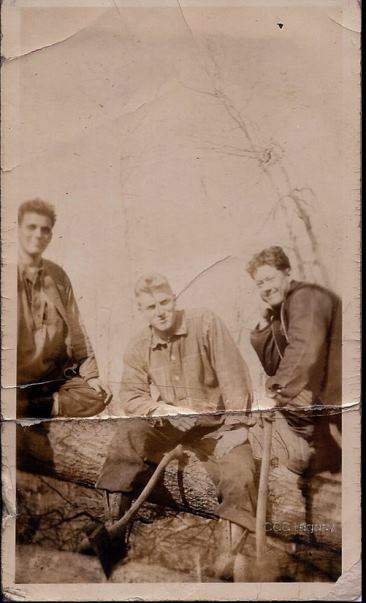 “Woodsman, Spare the Tree,” Company 1201, SP-64, Haddam, CT, Camp Filly, Cockaponset State Park – CCCLegacy.org. Wood detail taking a rest, Company 179, S-38, Camp Lonergan, Voluntown, CT, Pachaug State Forest – CCCLegacy.org. The activity follows a study of FDR’s first 100 days in office and the passage of a number of New Deal programs by the U.S. Congress. Students study the map of the CCC camps in Connecticut established in the 1930s and examine a physical map of the state to determine the significance (if any) of the location of the camps. Next, students will examine photographs of some CCC camps in Connecticut and of “CCC boys” in the 1930s. For help guiding students in the examination of photographs, use the Library of Congress’s Teacher’s Guide for Analyzing Photographs & Prints. 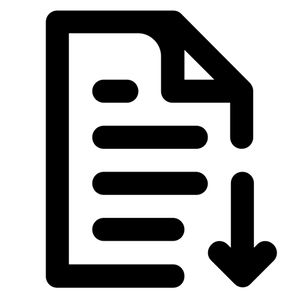 Using the maps, photographs, and additional primary and secondary materials available online (see suggestions below), students will answer supporting and compelling questions about the role and impact of the CCC program in Connecticut. Students will create a CCC recruitment poster for young men in Connecticut at the time of the Great Depression. Students will compose a letter to their state representative reflecting on the accomplishments of the CCC programs in Connecticut and advocating for the creation of modern day CCC programs to reduce unemployment for today’s young adults in our state. American Legion and Peoples State Forest, Barkhamsted: Outdoor activities and historic Nature Museum built by the CCC in 1935. The Museum is on the National Register of Historic Places.